David Cameron has praised the “unbreakable bonds” between England and Scotland as he launches a new phase of the campaign against Scottish independence. On Monday, ministers will fire the opening shots in the propaganda war by publishing the first in a series of government documents designed to show how being in the UK benefits Scotland. The papers will examine key issues in the independence debate ahead of the planned referendum, which is likely to be held in the autumn of 2014, including the economy, the currency, defence, foreign policy and welfare. Mr Cameron argues that the case for the Union depends on the head as well as the heart, claiming: “Our nations share a proud and emotional history. Over three centuries we have built world-renowned institutions like the NHS and BBC, fought for freedom and democracy in two World Wars, and pioneered and traded around the world. Polls north of the border suggest support for an independent Scotland is stalling, at around 23 per cent. 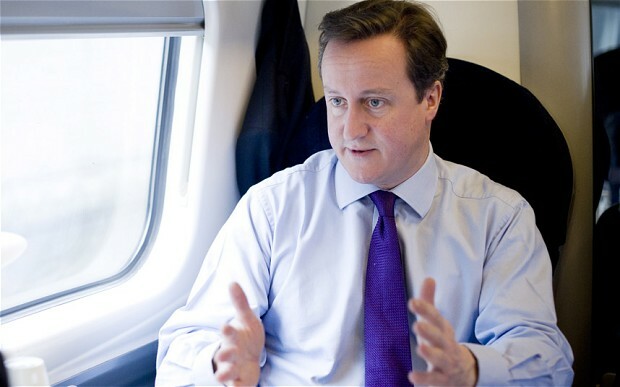 Mr Cameron says the government papers – likely to be disputed by Alex Salmond’s Scottish National Party (SNP) – would provide “expert-based analysis to explain Scotland’s place within the UK and how it might change with separation. We don’t shy away from putting facts and evidence before the Scottish people. The Prime Minister’s intervention came after Mr Salmond outlined transitional arrangements if Scotland voted to go it alone – with Independence Day likely to be in March 2016, and the first elections to a stand-alone parliament two months later. Afghan President Hamid Karzai has dismissed Prince Harry’s comparison of war to video games – claiming “young men make mistakes”. The 28-year-old Army captain gave “candid” descriptions of killing Taliban as he returned from a 20 week tour of Afghanistan, which some politicians in the country described as a propaganda victory for the enemy. But speaking to ITV News and The Guardian President Karzai, who has a long-standing friendship with Prince Charles, refused to add his voice to the backlash. 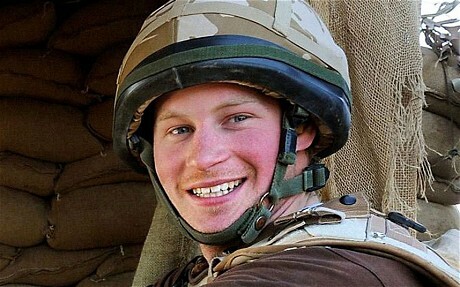 The Prince claimed that his prowess on computers had helped him with on the battlefield, and described taking insurgents “out of the game”. His comments came as St James’s Palace announced that Harry is to pay a visit to Lesotho and South Africa at the end of the month for a three-day trip on behalf of his charity Sentebale. He will spend the first two days privately, visiting Sentebale programmes throughout Lesotho, and on the final day will carry out public engagements in the Maseru district of Lesotho and then attend the Sentebale Gala Dinner in Johannesburg. The last time the third in line to the throne was in Lesotho was in June 2010 when he took his brother, the Duke of Cambridge, to see Sentebale’s work as part of their first joint overseas trip. President Karzai, who has not had a holiday in 12 years, is visiting the UK for a trilateral meeting with Prime Minister David Cameron, and Pakistani president, Asif Ali Zardari. He used the trip to condemn the recent insider attacks against British and American troops, describing it as “a serious breach of hospitality”. But he also echoed comments he made four years ago that between the country was safer between 2002 and 2006 than it is now. He now wants to move forward in the peace process, to make it something “tangible” for the people who no longer want guns in their communities, and to bring to an end three decades of suffering. The idea foreign troops would completely pull out of the country was a “Utopian state of mind” but would ultimately fail as the country needs to rebuild itself with the help of the international community, he said. On Saturday, visitors to Volgograd are to experience a trip back in time of 60 years as buses painted with images of Joseph Stalin are driven around the southwestern Russian city, temporally renamed Stalingrad in honour of the Communist dictator who more than any other moulded the Soviet Union. A military parade led by an old T-34 Soviet tank will also rally in the city centre. On 2 February, 1943, the Red Army won the decisively battle of Stalingrad, turning back Nazi forces after about six months of fighting. To commemorate the 70th anniversary of the key World War II victory, regional lawmakers decided to use the city’s Communist-era name in for the day and on other key anniversaries through the year. 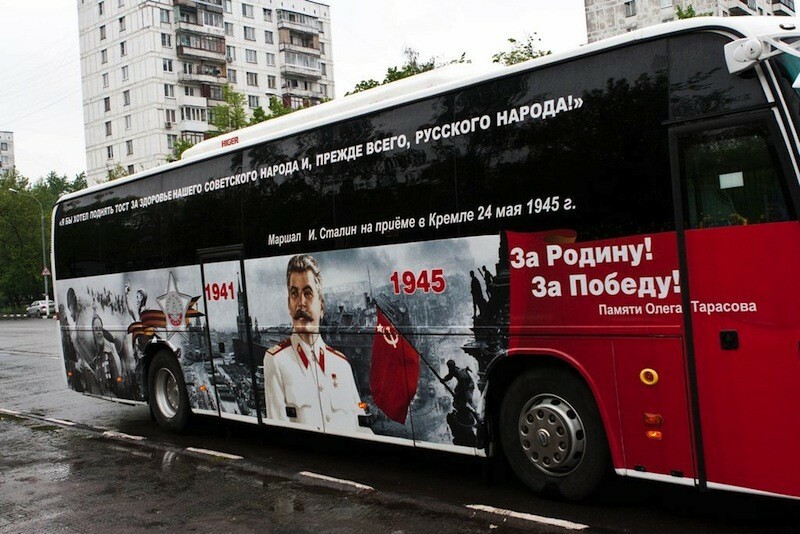 Five coaches bearing portraits of the moustachioed dictator will operate as part of the “Victory Bus” initiative. It is a controversial move. Nostalgics credit him with leading the country to victory in World War II and making it a world superpower but to many others he is a hate figure for his genocide of millions of fellow countrymen and for his repressive regime. “It’s blasphemous to rename the great Russian city after a bloody tyrant who killed millions of his fellow citizens,” said Nikolai Levichev a senior federal lawmaker with the leftist Just Russia party. “This is an insult to the memory of those who died,” Russia’s human rights ombudsman Vladimir Lukin told Interfax news agency. The city was renamed Volgograd in 1961 as part of the Soviet Union’s rejection of the Stalin personality cult. “Our people won under the lead of Joseph Stalin and there is nothing about our supreme commander to be ashamed of,” reads a statement by the Victory Bus. “We don’t paint swastikas. Thank God, Communist ideology and Stalin’s image have not been officially condemned. We only urge the preservation of memory of the WWII victory and people who contributed to it,” organiser Aleksey Roerich told Izvestia. Roerich said the buses are from private firms funded by the Communist party and private donors. The so-called “Stalinobuses” will operate in Volgograd until 9 May when Russia celebrates the final victory of the so-called Great Patriotic War. Stalin’s image will also appear on vehicles in the streets of St Petersburg and Chita. Stalin led the Soviet Union from 1924 until his death in 1953. The attack of Sept. 11, 2001, has been so pervasive a theme in American politics in the years since that at times we scarcely notice its influence even though it explains so much of what came after that day. Sometimes almost forgotten, 9/11 is an experience some Americans may recall only when they travel and must undergo screening from a select few of the army of 45,000 screeners that was created by the actions of 19 suicidal hijackers. So it was remarkable that three times in the space of two Senate hearings on Wednesday and Thursday, the 9/11 attack percolated through the discussion. Testifying Thursday morning at his confirmation hearing before the Senate Foreign Relations Committee to be secretary of state, Sen. John Kerry, D-Mass., voiced his regret that one effect of that fateful day has been to make people abroad see American policy simply in terms of killing individual al Qaida leaders and pre-empting terrorist threats. A day before, Secretary of State Hillary Clinton, in her testimony about the Sept. 11, 2012, attack on the U.S. diplomatic facility in Benghazi, used the 2001 attack to make the case for continued robust American involvement in North Africa. She warned of the risks of a 9/11-style attack from the group Al Qaida in the Islamic Maghreb (AQIM). “People say to me all the time, well, AQIM hasn’t attacked the United States. Well, before 9/11, 2001, we hadn’t been attacked on our homeland since, I guess, the War of 1812 and Pearl Harbor. So you can’t say, well, because they haven’t done something they’re not going to do it,” she said. 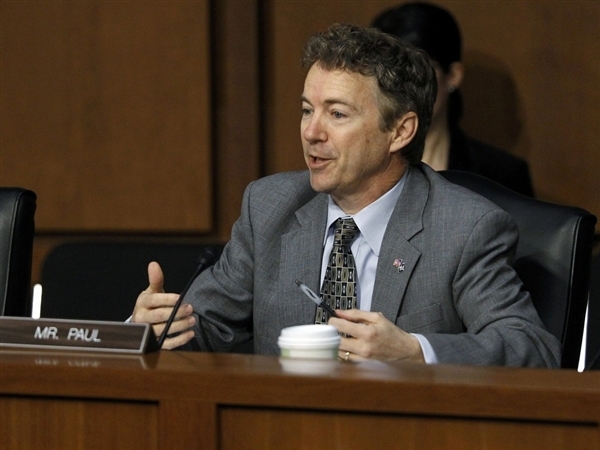 But a bit later Clinton came under assault from Sen. Rand Paul, R-Ky., who used 9/11 as his rhetorical theme. “Ultimately with your leaving (the State Department), you accept the culpability for the worst tragedy since 9/11, and I really mean that,” Paul told Clinton. Democrats on the committee recoiled in anger at what they saw as a cheap exploitation of 9/11. Murphy, first elected to the House in 2006 as part of the voter backlash against the Iraq war, didn’t mention that Clinton herself, serving in the Senate in 2002, voted for the congressional resolution authorizing President George W. Bush to invade Iraq. Her vote was one liability during her bid for the 2008 Democratic presidential nomination – a liability which Barack Obama, a state senator when Congress voted on the Iraq invasion, didn’t have. The 9/11 attack created the political environment which made possible, and perhaps even inevitable, the congressional vote authorizing Bush to use military force against Iraq. Four days later, the Senate voted for the Iraq war authorization, with Kerry, Clinton and then-Sen. Joe Biden among the 77 voting for it. Just as Murphy had argued at Wednesday’s Senate hearing that Iraq was “fought under false pretenses,” so, too, Democrats back in 2004 argued that Kerry, Clinton, Biden, then-Sen. Chuck Hagel and the other members of Congress who’d voted for the Iraq war resolution had been deceived. But some antiwar Democrats argued that – deception or not – their party could never beat Bush in 2004 with a candidate who was compromised by having voted for the Iraq war resolution. It’s impossible to know the answer to that question – would Howard Dean or Sen. Bob Graham (who voted “no” on the Iraq war resolution) have defeated Bush in 2004? We do know that Bush held his party’s 2004 convention in New York City, a target of the 9/11 attack and defeated Kerry in the election. His second term was an unhappy one for many reasons, but it was Bush – not Kerry – who got to the fill the next two vacancies on the Supreme Court. And 9/11’s effect is also still directly felt in the current wrestling over fiscal policy. As Obama and congressional leaders try to figure out how to pay for ever-growing entitlement programs and reduce budget deficits, Republicans in Congress, but many Democrats, too, are reluctant to significantly reduce a $630 billion Defense Department budget that grew massively in the years after Sept. 11, 2001. 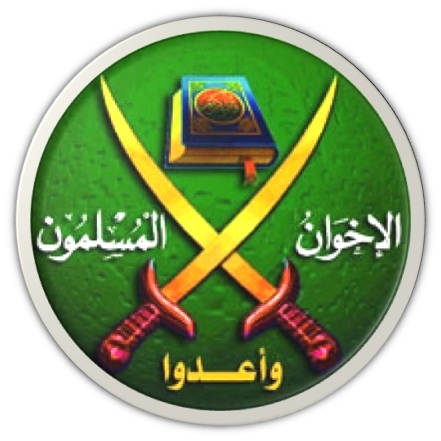 In 2007, the Wall Street Journal published an article titled, “To Check Syria, U.S. Explores Bond With Muslim Brothers.” And even then, it was noted that the Brotherhood held close links with groups the US recognizes and lists as terrorist organizations, including Hamas and Al Qaeda. What is also disturbing about the 2007 report, is that it shows how allegedly “Bush-era” policies transcended the 2000-2008 administration and continued in earnest under President Obama. Florida Gov. Rick Scott may have earned himself a new constituency, but the devil is in the details. Local news site WPBF.com reported that a group of Satanists plans to hold a rally outside Scott’s office on Jan. 25 to support the governor’s signing of a bill that allows students to pray at school events. “We’ve gotten such a response, it’s just impossible for me to know what that translates into,” Satanic Temple spokesman Lucien Greaves told WPBF, regarding how many will show up at the rally. The group’s founder, Neil Bricke, is scheduled to speak at the rally. 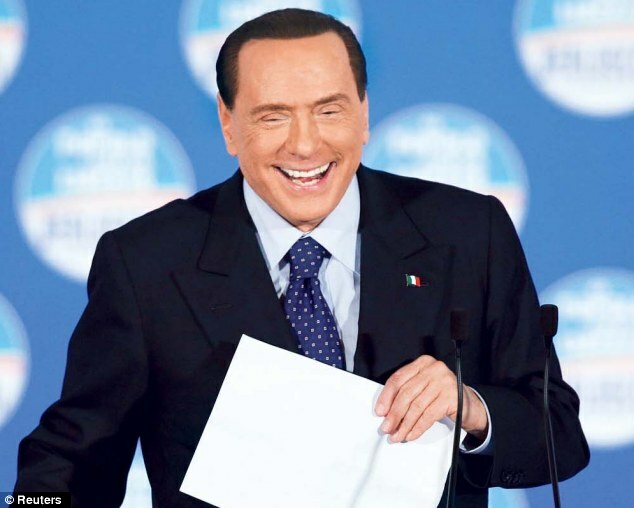 “We feel it’s time for Satanists to come out and say exactly who we are,” Greaves said. So, what does Scott think of the newly organized support? “This is a great country. Everyone has a voice,” Gov. Scott’s press secretary wrote in an email to ABCNews.com.